This NuImage 1100 Series almond aluminum door canopy with support arms and open sides looks handsome above any door. Because it's made from aluminum, it's built to last under the most common weather conditions, like snow, rain, and ice. It has a built-in front rain gutter and a two-coat baked-on finish for optimal style and functionality. 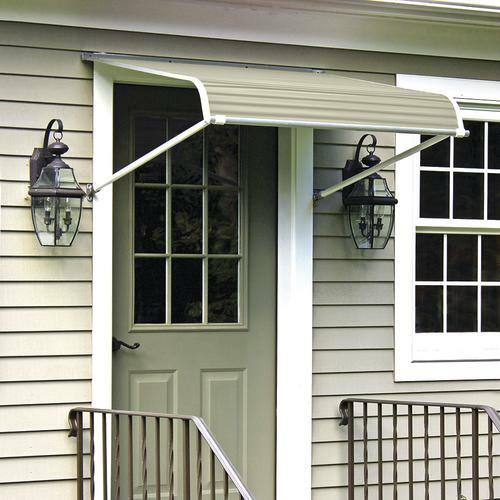 With a variety of sizes to choose from, you're sure to find the perfect reliable canopy for your home or business.